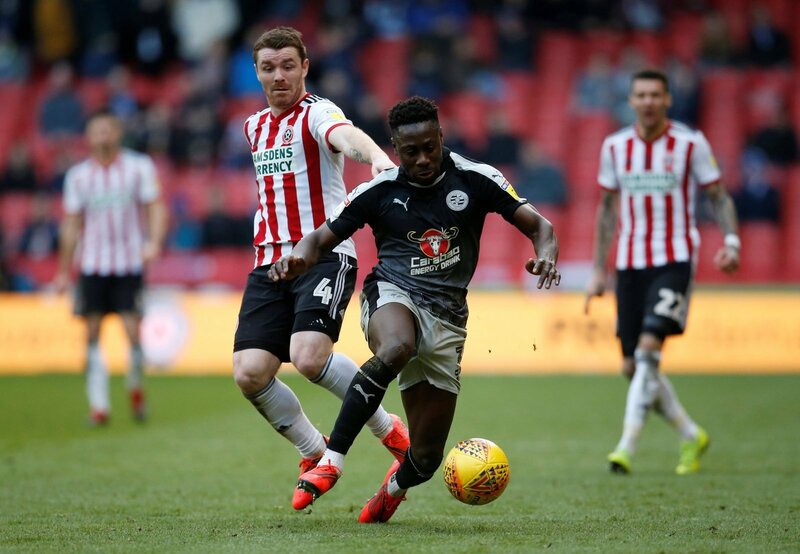 Reading defender Andy Yiadom has sent a message to Aston Villa midfielder Conor Hourihane on social media, after Villa came from behind to beat Rotherham last night. It was a dramatic night at the New York Stadium as ten-man Villa fought back from a goal down to win 2-1, with second-half strikes from Jonathan Kodjia and captain Jack Grealish. The result ensures that Reading, who drew 2-2 with leaders Norwich at Carrow Road, extended their lead over Rotherham to two points in the Championship relegation battle. Hourihane shared this post with his Instagram followers after last night’s dramatic win, showing the Villa players celebrate the winning goal in front of the away fans. Reading right-back Yiadom was quick to reply to the post, simply commenting “Thank you”. Last night’s results have seen Reading move up to 20th in the Championship table, two points ahead of Rotherham, who occupy the final relegation spot. The Royals have also moved above Wigan Athletic on goals scored and are now level on points with 19th placed Millwall, though Neil Harris’ side still have a game in hand. It was a dramatic night in the Championship last night with important results at both ends of the table. Villa’s comeback against the Millers has had a significant impact on the relegation battle, meaning that Millwall, Reading and Wigan, who all failed to win last night, have stayed out of the bottom three. With five matches still to play and so many teams fighting to avoid the drop, Reading still have a serious relegation battle on their hands, but last night’s draw against Norwich can be considered an important point.